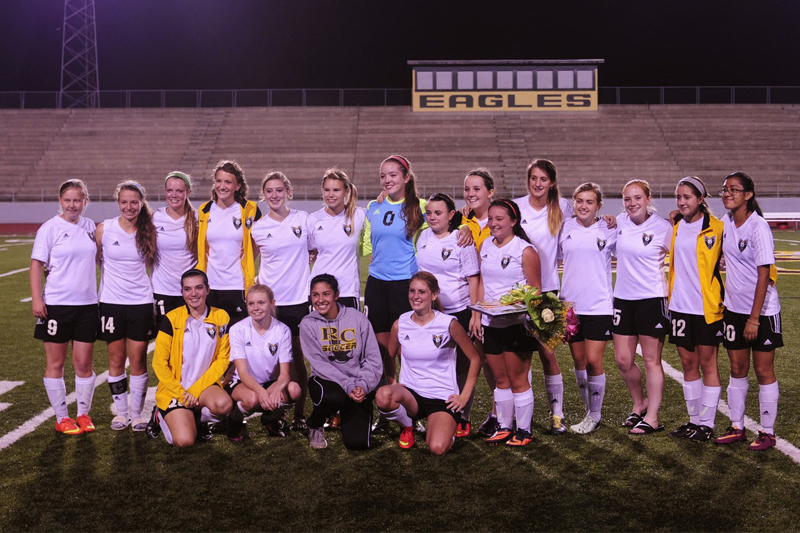 Evensville, TN — The Rhea County Soccer team had to make last minute substitution but thankfully Chattanooga Christian School was able to substitute for Marion County for the final home game for Rhea County and Senior Night. Rhea County won the game 5-0 and honored the seniors after the game. Scoring for Rhea County was Abby Thaden with three goals. Hailey Shelby and Katie Tilley, each had one goal. Abby Thaden was named first team All-District and Hailey Shelby and Mayo Sommers were selected second team All-District. “We are fortunate to have a game tonight as our original opponent cancelled and Chattanooga Christian was nice enough to step in on short notice,” said Coach Justin Smith. The next game will be the District tournament. Rhea County travels to Cumberland County to play the Lady Jets.